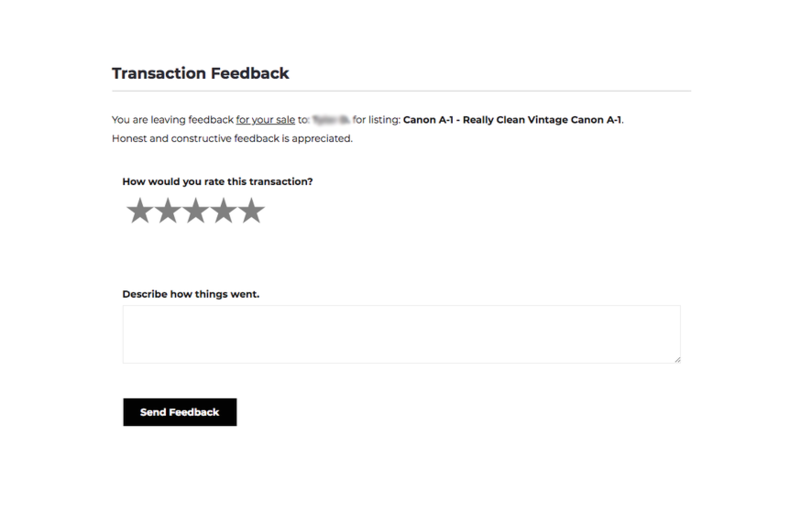 Because we specialize in used camera gear, we made listing your gear is as simple and painless as possible. Create an account, add your seller details and create your listing. When your gear sells, you get paid directly. We only charge 6.9% of the successful sale total. That's it. One simple fee. There's no payment processor fee, no transfer fee, no other fees. Buyers pay for shipping. Compare that to eBay's 12.9% + .30. You get the point and you won't find a simpler, more affordable way to sell your gear online. Behind the scenes, our transactions are handled by Stripe, the same payment processor trusted by Amazon, Uber, Target and thousands of other brands you use everyday. Below, we've outlined the entire process, from sign up to feedback so you can get an idea of how signing up and the flow of a transaction works. 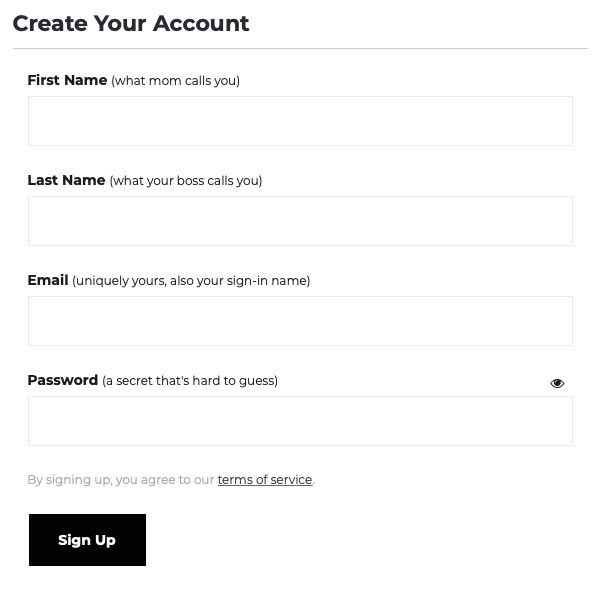 Create your free account, then login. If you're selling as a business, choose business, otherwise choose individual then select your country (US only for now, more countries coming soon). Enter your address and deposit account information. We pay our sellers directly (and quickly) with no transfer fees. 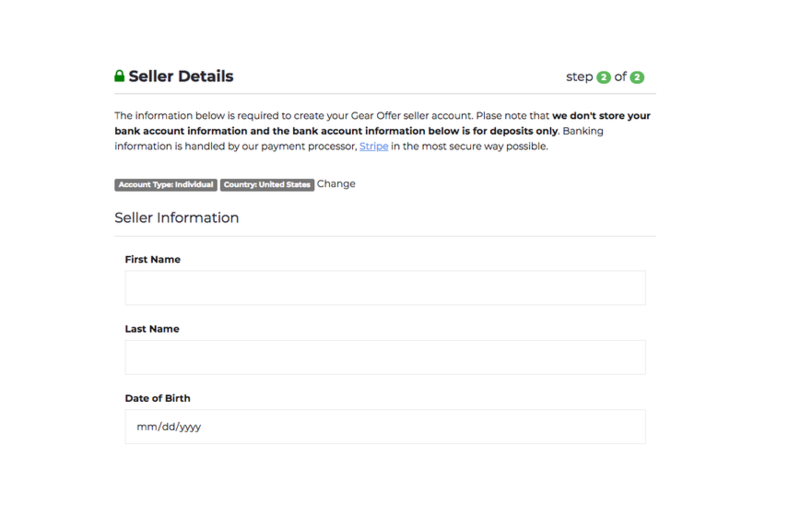 Once your seller details are added, you're ready to start selling gear. 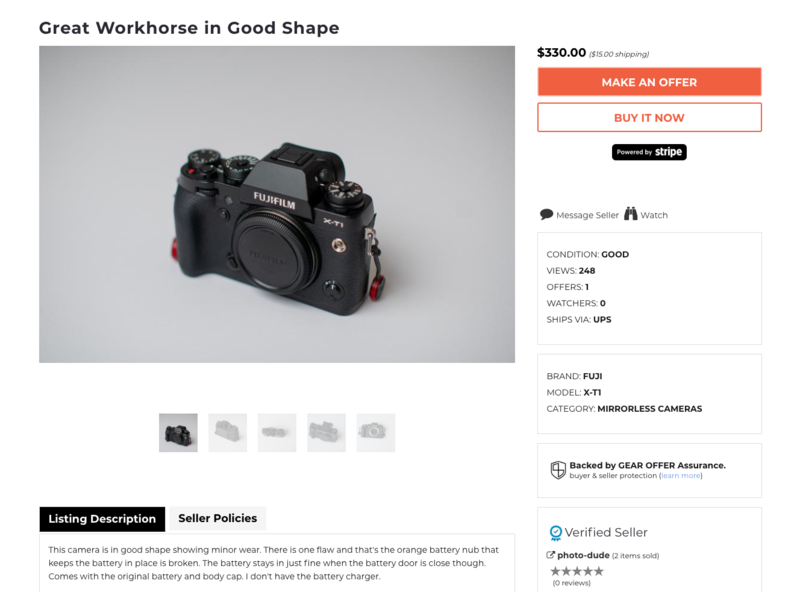 Enter your product model, description and price. Use our pricing insights to get an accurate idea of the fair value of your listing. 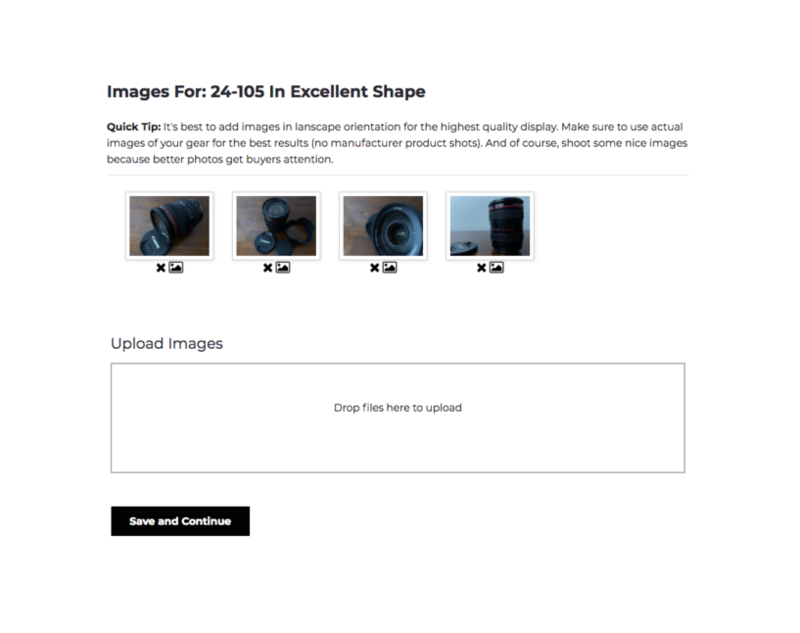 Add a few quality images of your item using the drag and drop uploader. Once you're happy with your listing details, simply click the publish button and you're done. 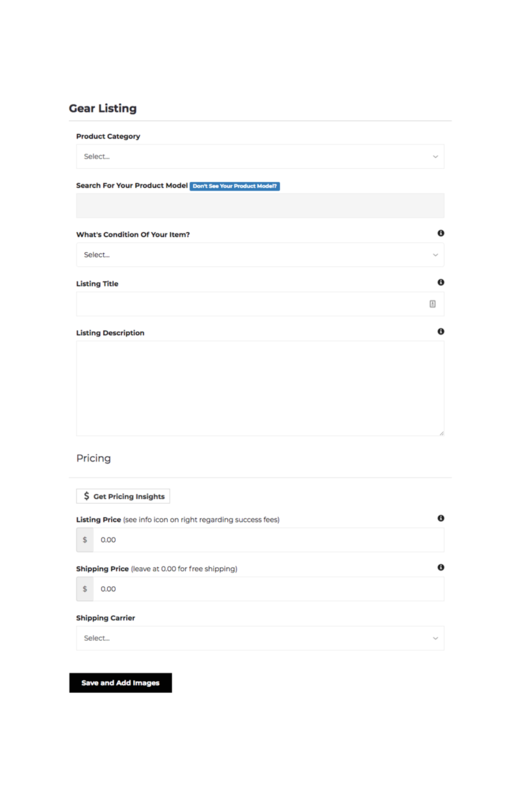 Buyers can now discover your listing and either purchase it using the buy now button or make you an offer. Ship your listing then add the tracking code. The buyer will receive tracking updates all the way to their door. 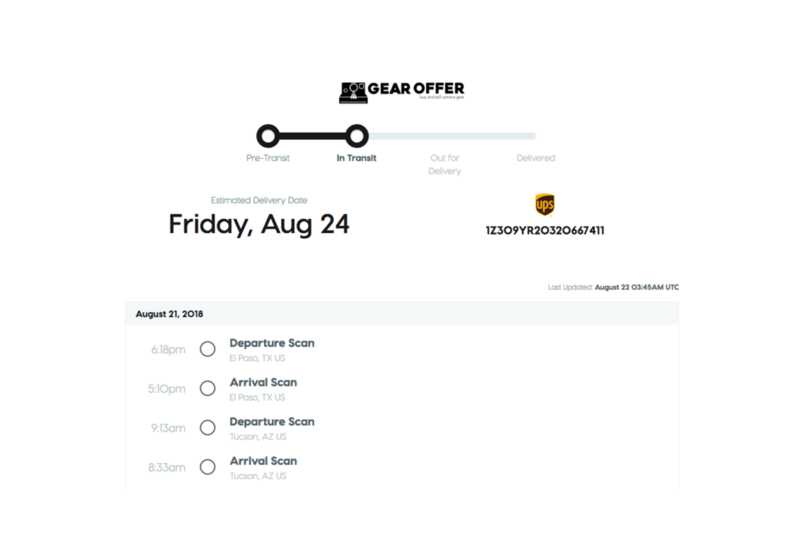 After your item sells, it takes about one business day for the charge to clear. 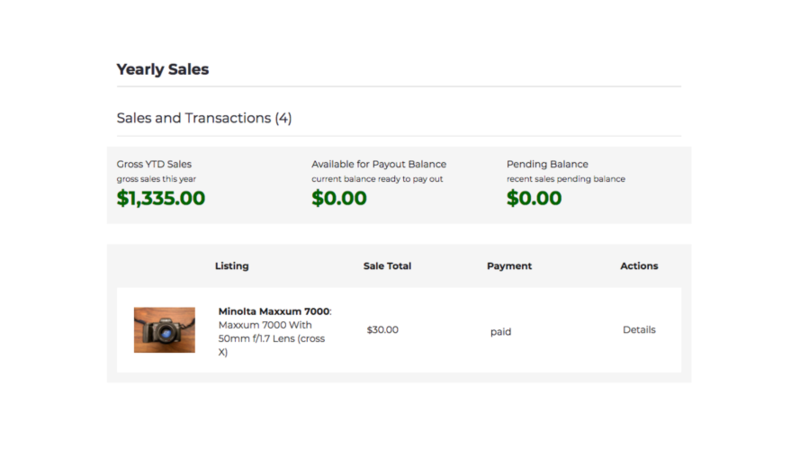 Once you ship the item and the shipping status is in transit, simply click the payout link and the funds will be transferred to your bank account, typically in 1 to 2 business days. Every transaction is subject to rating and review by both the buyer and the seller. Sign up and list your gear for free. If you have any questions along the way, we're here to help. If you're interested in buying gear, check out how buying works.